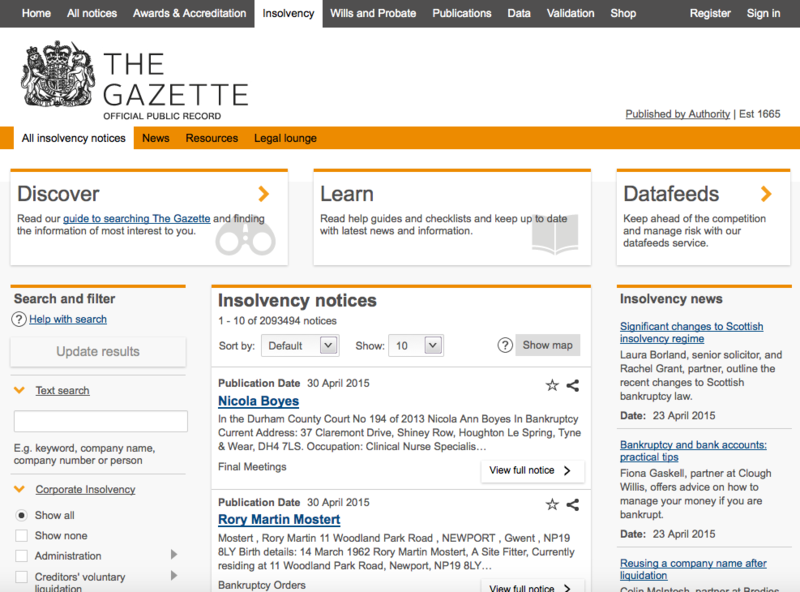 The Gazette – now integrated and available to search. This month we deliver a number of updates to Encompass, this blog entry focuses on two: content from The Gazette and Workspace Refresh. One important and unique element of the Encompass offering is the range of information valued by insolvency professionals that we offer in one place. Nominated by our Pre-Release Group and other firms as an important information source, The Gazette – the UK’s official public record since 1665 – can now be accessed from Encompass. The Gazette website aggregates notices originating from the Belfast, Edinburgh and London Gazettes; Corporate Insolvency is now searchable through Encompass. Encompass can search for Gazette Notices by Organisation, or by Person, or by specific Notice ID. Critically, Companies and Persons are first verified via Companies House, to help you narrow down the results and find the information you are looking for faster. Encompass creates a Notice icon on the chart, and adds a pdf file of the Notice to the Documents panel so that you can always refer back to the source for more details when you need to. Complex insolvency cases can run for months, during which time underlying facts can change – for example, a director may retire or, using information sourced from The Gazette, may have been served with a notice of personal bankruptcy. Workspace Refresh provides a simple means to update a Workspace with the latest information from trusted information sources and to be automatically shown details that have changed since the case was previously investigated in Encompass. This powerful new feature is available either from the Refresh Workspace button in the Toolbar or by selecting the Workspace menu and clicking Refresh. Encompass lists all reports previously purchased to populate the Workspace, the user can deselect any reports not to be re-purchased and is then asked to confirm the reports to be re-purchased. When information from Companies House and Creditsafe includes companies registered outside the UK, Encompass displays a Country of Origin flag against the Company icon. When Encompass can determine the gender of an individual it now displays male and female icons. 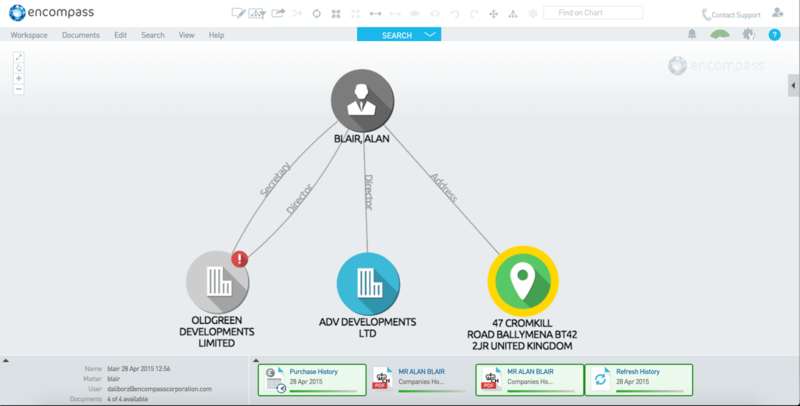 These customer led developments demonstrate the value Encompass places on feedback from the market and signify an important milestone in our journey to be the visual information management platform for restructuring and insolvency professionals.